Starring Jaeden Lieberher, Jeremy Ray Taylor, Sophia Lillis, Finn Wolfhard, Chosen Jacobs, Jack Dylan Grazer, Wyatt Oleff, Nicholas Hamilton, and Bill Skarsgard. I saw the original miniseries of It when I was 9 years old. I couldn’t sleep for a month and have never seen the film in full again since that viewing. After seeing various clips from the miniseries since then, I recognize the cheesiness of the acting, effects and some of the writing, but it was still too terrifying for me to ever want to fully revisit. 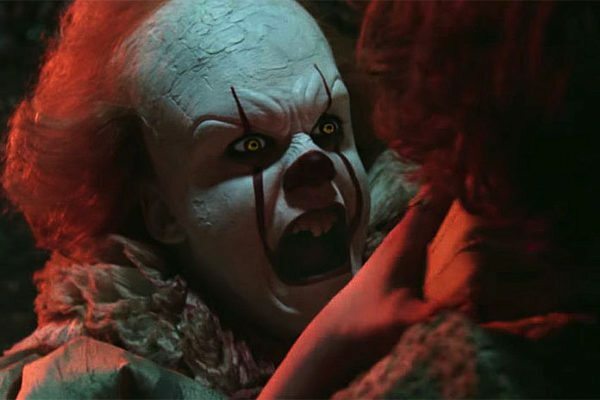 I never caught the new It in theatres, though I was curious to see it despite the fact director Andy Muschietti’s remake looked 10X scarier than the miniseries. After some hesitation, I finally sat down to watch It and was surprised by the film. 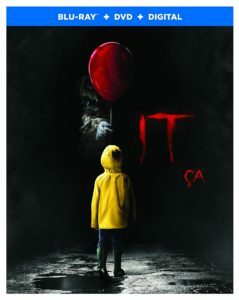 While definitely creepier than the 90s miniseries, It features a lot of heart between its main cast with each of the kids sharing great chemistry with each other and a terrifying performance from Bill Skarsgard as the demonic Pennywise. The Losers make the film great. Each of the kids does an excellent job conveying the troubles they face in the small town of Derry. You empathize with each of them, making it easy to relate to and root for them. Jaeden Lieberher is given a lot of emotional weight as Bill Denbrough, the central hero of the film as he has to come to terms with the death of his younger brother George at the hands of Pennywise. Sophia Lillis is also a standout among the cast as Beverly, often coming across as the film’s heart when she sees beyond the Losers’ basic qualities. Lillis also shows she’s just as strong as a lead as Lieberher as the Loser’s second leader. Other standouts among the young cast include Stranger Things‘ Finn Wolfhard as the group’s resident funnyman Richie and Jack Dylan Grazer as Eddie. Given his role in Stranger Things, its nice to see Wolfhard stretch his comedic muscles, yet still show Richie as a layered character with more to him that just jokes. Jeremy Ray Taylor is also great as Ben, showing good chemistry with Lillis. Yet Taylor, Wyatt Olef and Chosen Jacobs aren’t given too much else to do within the team, often being put on the sidelines for the other four kids. Skarsgard will probably be remembered as one of the most captivating horror villains in recent memory. He really dives into the role of Pennywise and takes it as his own, making it a wholly new interpretation from Tim Curry’s. A lot of his performance comes from his body language and facial expressions. There is a lot of subtlety in his movements, the way he looks at the kids and what he does with his eyes and lips. He steals the scene whenever he comes onscreen. There are plenty of scares in It, but that’s also one of the film’s few weaknesses. A lot of the scares are telegraphed as coming, letting the audience know through its music or silence in a tense scene. On one hand its good for someone like me so I can brace myself for the coming scare, but on the other it makes the film somewhat predictable. Jump scares are a bit of a trope in horror films now and I find its usually better when you don’t see it coming, so It letting the audience know a scare is just around the corner slightly weakens it. That said, a lot of the imagery is quite horrific and the effects are well done, particularly on one scene involving Pennywise and a fridge in the Neibolt house. Pennywise Lives – A 15 minute look at how the fearful clown was brought to life on-screen. 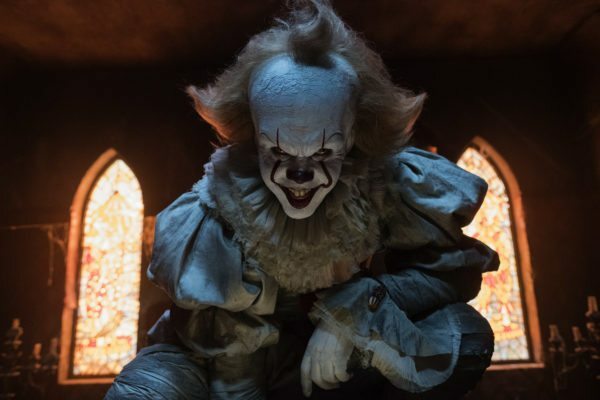 Muschietti shows off some character designs and Skarsgard discusses how he prepped for the role; when he auditioned he even went in with make-up on his face. There’s also some interesting stories with the kids and how they were kept separate from Skarsgard as much as possible, only seeing him in full costume for the first time when filming the Neibolt sequence. The Losers Club – As I said above, one of the strongest aspects in the film is the relationships that are formed between the Losers. In this 15 minute feature, they delve into how the actors got into their roles and the bonds they made on set. It’s a nice, introspective look at the young cast, even the actors who played the bullies, came together to make the film and how they helped each other out. Author of Fear – Stephen King is without a doubt one of the best horror writers out there and this feature is dedicated to him. King himself discusses where he got the inspiration for It, Pennywise and the town of Derry, using some real small town myths in his story. Fans of King will really enjoy hearing about his thought process for the film. 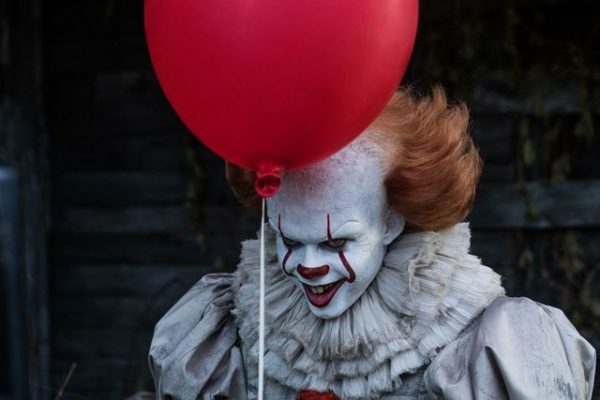 Deleted Scenes – Containing eleven deleted or extended scenes – including the gag opening where George escapes Pennywise at the beginning – these scenes highlight the neglect the Losers face at home from their parents. There are a couple of the Denbrough family, showing how each member confronts the loss of George, while Stanley’s home life is opened up a bit more. One deleted scene highlights Stanley and directly addresses the parent and town’s neglect, which Muschietti had previously talked about before. This would have helped expand Stanley’s character and will hopefully show up in the eventual Director’s Cut. Overall, It is a very well made film with a strong cast of young actors. It’s easy to relate to them while Skarsgard makes his terrifying presence felt throughout the film. The only things that detract the film are how some of the Losers are sidelined and the easy-to-see scares coming. Still, Muschietti does a great job adapting King’s classic novel.